Tehran (AFP) - Iran's supreme leader Ayatollah Ali Khamenei vowed Thursday "never" to allow the Islamic republic to bow to the demands of its enemies, at a time of increased tensions between Tehran and Washington. "To entertain the idea, as desired by the enemy, that the only solution is to hand ourselves over to the enemy, is the worst act of treason towards the Iranian nation, and that will not happen," Khamenei said in an address to tens of thousands of members of the Basij, an Islamic volunteer militia, broadcast live on state television. 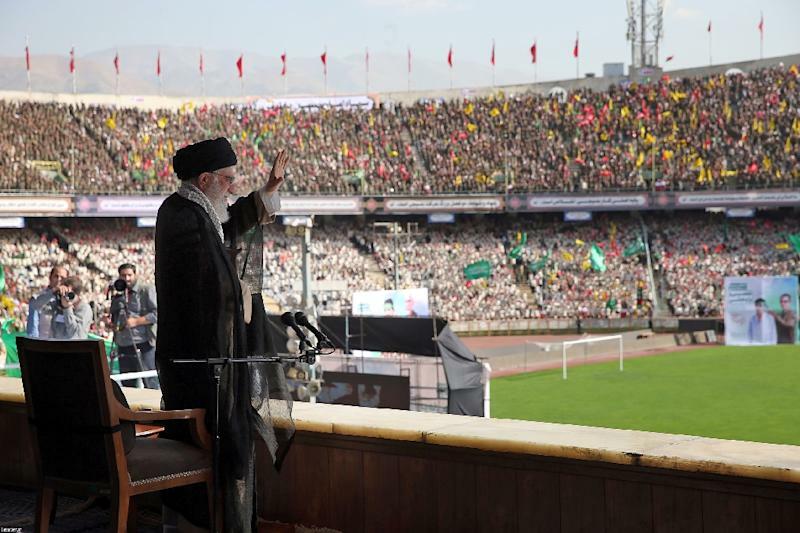 "With God's help, so long as I am alive and retain my capacities and with your help, I will never allow such a thing to happen," he said in the speech at Tehran's Azadi stadium. For Iran's clerical establishment, enemy refers firstly to the United States which is dubbed the "Great Satan" and with which relations have been severed since the aftermath of its 1979 Islamic revolution. Khamenei played down the impact of economic sanctions reimposed on Iran by the United States in August after Washington pulled out of the 2015 nuclear accord between Tehran and world powers. "Our national economy can overcome the sanctions, and, with the help of God, we will overcome them, and this defeat will signal the defeat of America and a new slap for America from the Iranian nation," he said. On Wednesday, Tehran hailed its "victory" after the International Court of Justice ruled that sanctions reimposed after President Donald Trump pulled out of a nuclear deal put Iranian lives at risk. But the United States insisted it was already allowing humanitarian exemptions to sanctions and, accusing Iran of seeking a "propaganda" win, announced it was terminating a treaty on which the case was based.